I’ve had a good run of successful Thanksgiving meals here in France. 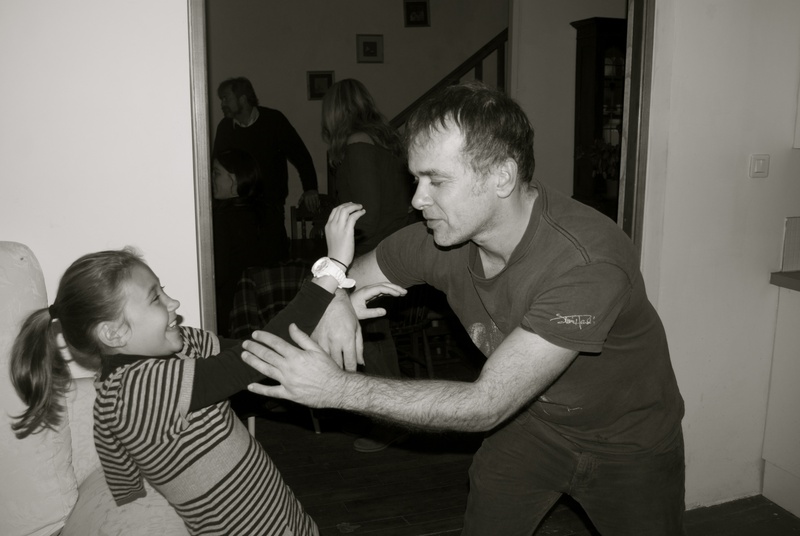 My first and second Thanksgivings were celebrated in Rennes with a big group of friends, mostly American. The third was a small affair here in Central Brittany with my boyfriend, an American and French couple and another British couple. 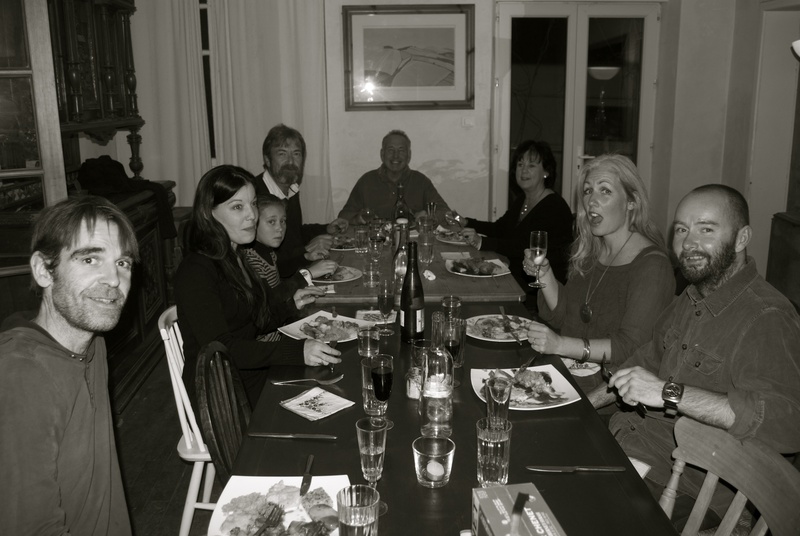 This year I was the lone American at Thanksgiving dinner: the Thanksgiving Pioneer spreading the gospel in my small corner of Central Brittany where everyone I know is either French or British. There were 11 of us: 6 Brits, 4 Bretons, and me, l’américaine. For all but 4 of us, it was the first Thanksgiving experience ever. 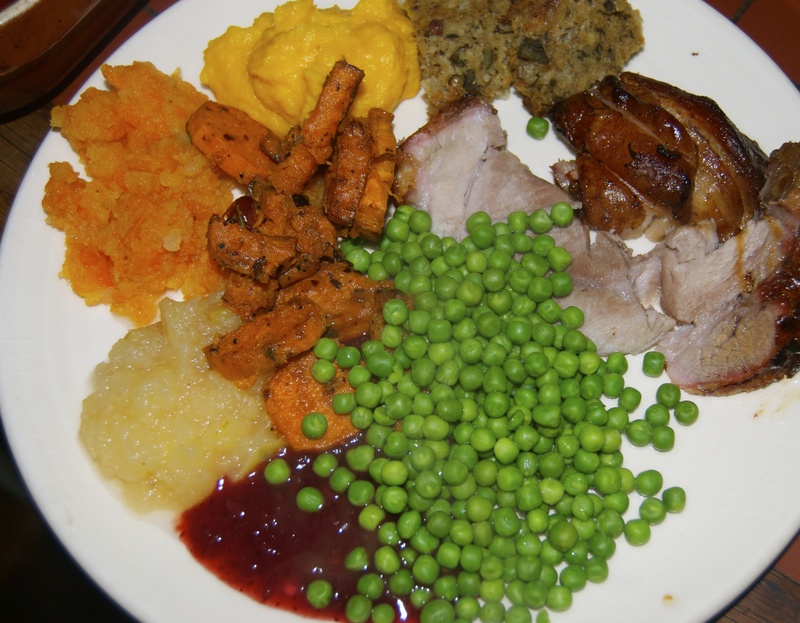 The French contingent didn’t really know what to expect from a Thanksgiving meal, and the Brits’ expectations were probably let down considering what an institution roast dinners are in the UK. Toby and I made roast pork, roast potatoes, gravy, apple sauce, cranberry sauce and peas. Everyone else who came brought one side dish and one dessert. I must say that Thanksgiving potluck-style is a beautiful thing. 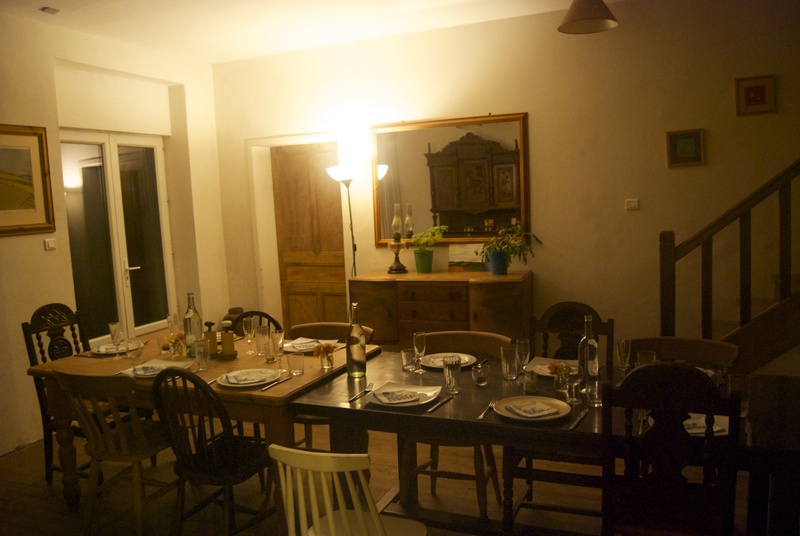 As Toby did most of our share of the cooking, my only real task that day was to set the table. Everyone did an amazing job with their contributions. In addition to what Toby and I made, we also had sweet potatoes ‘with jazz’, creamy purée of butternut squash, quiche, mashed carrot and turnip, and sage and onion stuffing. And for dessert, we had apple crumble, apple tart, fruit trifle and pumpkin pie. It was all delicious. How nice the entry looks with the table set up in there! Great way to leave cooking/kitchen mess behind and just enjoy your guests and dinner. I’ll post our Thanksgiving photos on FB later, good thing Bruce took photos because Maren and I didn’t take the time to do it. looks like you all have a great time ,hope to see you both in jan .